The Empire Hotel Kowloon is a modern state-of-the-art boutique hotel located in the picturesque district of Tsimshatsui with direct access to the shopping belt of Nathan Road and the popular central business districts. The Empire Hotel Kowloon is the newest edition of The Empire Hotels and Resorts - to be known across the borders of Hong Kong as the most metropolitan style hotel with the utmost cosmopolitan restaurants in town. in the EMPIRE plus+ located on the executive floors which are tailor-made for the discerning needs of the business travellers. Included on the 26 floors and 315 units there are twin rooms, queen rooms, plus king and twins suites available. All rooms are equipped with the most updated communication equipment systems. Special emphasis is given to comfort with bedding, lighting and the security system. Amenities include in-room Broadband Internet Access, email, safe deposit box, air conditioning with temperature control via the television, personal pagers, international direct dial, Data View Information System on TV screens, in-room fax machines with data port and cable TV and satellite TV channels. styles from breakfast, lunch, tea and dinner to supper. An a la carte menu is also available. The Zino Coffee Bar and Lounge is made-up of stylish sofas, armchairs and cushions comfortably placed in an atmosphere filled with coffee aroma for the enticement to partake with in an array of delicious sandwiches and cakes. The Daidalya Japanese Restaurant is of a world of tradition and culture from the old days. With sensitivity and creativity - the service consists of meals in Hong Kong that touche the five senses - sight, sound, smell, taste and touch. A fitness center is available for the guests which consists of state-of-the-art equipment. 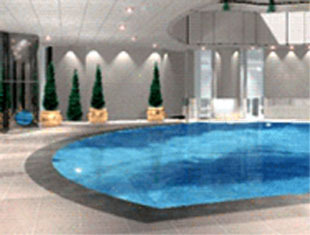 The atrium swimming pool and sauna baths are of luxurious design. Massage services are available and tennis and other sports may be pre-arranged. Limousine service, laundry and dry-cleaning services, valet parking, baby-sitting and express check-in and check-out services are all available in this full service hotel. 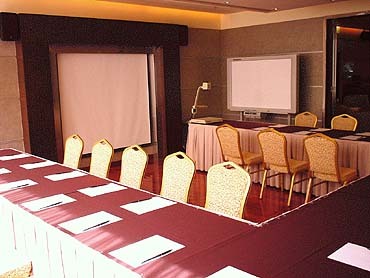 Well-equipped conference and meeting rooms for small or large meetings are at the guests' disposal. The amenities include LCD Projector, overhead/slide projector, video conferencing, electronic whiteboard/flipchart, multi-system TV and VCR, wireless and clip-on microphones, laser pointers and stationaries and mints are included. 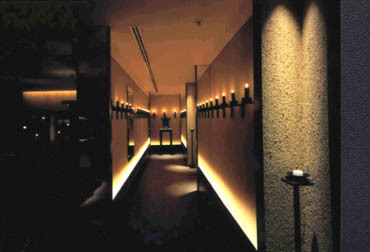 The Business Center is located on the 22nd floor, the EMPIREplus+ Lounge. Professional secretarial services and advanced business equipment are available. Whether your visit to Hong Kong is for business and/or pleasure - your experience is guaranteed to be a successful one at the Empire Hotel Kowloon.